Interview with Alex Harris and Margaret Sartor, Authors of "Dream of a House"
Writer Randall Kenan's interview with Alex Harris and Margaret Sartor about their recent book, "Dream of a House: The Passions and Preoccupations of Reynolds Price" airs on WUNC TV's North Carolina Bookwatch on the North Carolina Channel. Harris and Sartor's book intertwines both Harris's photographs of Price's eclectic home with Price's own writings, creating a fascinating tribute to the beloved writer. 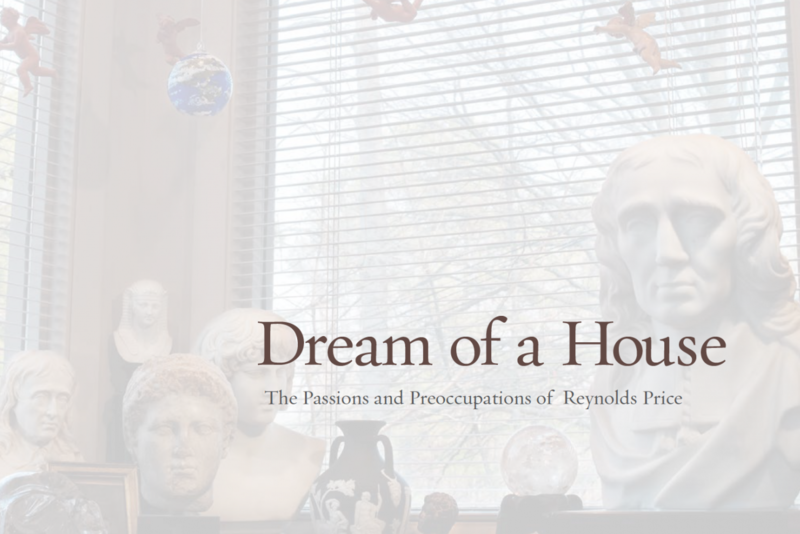 Dream of a House was published by the Center for Documentary Studies with George F. Thompson Publishing in association with UNC Press. The show will also air on WUNC-TV on Sunday, April 8, at 11 a.m. with an encore broadcast on Thursday, April 19, at 5 p.m.